Why do Churches of Christ, who eschew tradition as authoritative, appeal to church tradition to prove the first day of every week, and no instrumental music? When Churches of Christ try to prove that we must take the Lord’s Supper every first day of the week and only on the first day of the week, they first appeal to example: Acts 20:7 when the church at Ephesus met to hear Paul’s last sermon to them and to break bread. Then they point to Jesus’ words: “as often as you eat this bread“. So there must be a frequency if he said “often”. What is the frequency? Then I Cor. 16 is mentioned when the Corinthian Christians were instructed each one to “lay by himself in store every first day of the week, so that there be no collections when I come.” See? Every first day of the week. Only one problem: that was the collection for the poor saints in Jerusalem, not the Lord’s Supper. A more logical conclusion would be that the early Christians took the Lord’s Supper daily (Acts 2:46), or that Jesus instituted the Lord’s Supper every Passover (“This cup is the new covenant in My blood. This do, as often as you drink it, in remembrance of Me.“). So the Churches of Christ needed a little more help. Aha! How about looking up the history of the early church after the New Testament was finished? Lo and behold: they ate the Lord’s Supper every first day of the week! TADAA! The rabbit has been pulled out of the hat and everyone is amazed. Let’s ignore for the moment that this passage was talking about the scriptures that Timothy had known from infancy (the Old Testament Hebrew Bible), and let’s take it for how the Churches of Christ misuse it: that we can get all the authority we need for the work, worship and organization of the local congregation from the scriptures, and we never need to appeal to church tradition. That gives us a problem. There is not enough detail in the New Testament historical accounts to indicate that the early Christians took the Lord’s Supper every Sunday and on no other days of the week. Well then, we can fall back on two ideas: either appeal to church tradition (really fast, so nobody notices) and then deny that we need to appeal to church tradition. And then play the “safe” card: In order to be safe, we need to take the Lord’s Supper every first day of the week and only every first day of the week, because that is all we have an indication of in Acts 20:7. Sounds to me like they were taking the Lord’s Supper every day all over the place (kind of like when Jesus broke bread with the disciples on the road to Emmaus after his resurrection). This entry was posted in Bible, Command, Example and Necessary Inference, Instrumental Music and tagged Bible, blueprint, Church of Christ, Churches of Christ, ex-church of christ, instrumental music, Lord's supper. Bookmark the permalink. Because many people would rather be inconsistent than be forced to rethink their theology. Male leadership and saying “Amen” are two issues that lend themselves to a lot of talk about following Old Testament precedent. Maybe they are thinking of it like that. Maybe not. Generally the ultra-traditionalist sorts aren’t that good at expressing their actual reasons for why they believe something. Their reasons seem haphazard, thrown together after the fact. HOWEVER, having said that I think that it actually is a good argument to appeal to the Eastern Orthodox not using instruments. That argument is that you CAN survive without them. Look how long the EO has been around. The proponents of Instrumental Music act like “Oh my God, if you don’t let me start playing my instrument in church like right now, I’ll just die! And in 5 years the church will just dry up and blow away if we don’t start using instruments!” Uh huh…..so how did the Eastern Orthodox Church survive all this time without them???? Clearly they aren’t as *necessary* as you want to pretend. That’s a good argument. Yes, you can survive with out it. It isn’t necessary. However, the Churches of Christ should not condemn and dis-fellowship with people and other Churches of Christ / Christian Churches/ What have you because they use or believe in instrumental music in worship. The fact remains that the word psalms is based from the word psalos which means to pluck instrumentally. Psalms are meant to have musical accompaniment. Hymns, for that matter, were also regularly accompanied by a four or six stringed instrument. These are facts. And no where do the scriptures tell us that doing so is wrong. Instrumental music is actually included when you consider psalms and hymns as apposed to just the word “songs” because that one pretty much stands alone, and there would be no need to talk about psalms and hymns if it were the case that we should not use instrumental music in our worship. The scriptures would make a differentiation if that were the case. But, because we have the example of psalms and hymns, is that really wrong? Would it have been wrong if we didn’t? Would it stop us from salvation? How legalistic can we get, hmmm? We do not use instrumental music- we see no authority for it, but that does not make it wrong or sinful. We just see it as we will play it safe and not do something that is not called for. God will let you and I know on judgement day if it is bad or not. Is it bad not to use instrumental- no. Is it bad to comdemn others for doing so- absolutely. In the I century, the first day of the week beginning at 6 pm (Saturday night). Paul traveled on Sunday morning. Paul preached because he needed to teach more. The brothers could break bread Saturday or Sunday. There was no doctrine about it. There is teaching on this. According to the Gospels and Genesis 1, a day starts at sunrise (Matt. 28:1, John 20:19). The idea of the day beginning and ending at sunset comes the later writing of the Talmud and the observance of the Passover, which also notes that the day of the 14th of the 1st month changed into the 15th before Passover was over. I am learning to talk, my English may be wrong, but I will use simple sentences. I understand about the resurrection and what you mean about Genesis. But the disciples did not wait for the sunrise (start of day) on Sunday to attend the supper? In your opinion when does it start and when does it end Sunday? We also think that the United States and Brazil Sunday begins on different days? Perhaps you will say that we have to make supper on the day that each country starts Sunday! Jews who are Christians can continue keeping the Saturday? Messianic Jews may take the supper Saturday night? Jews have to keep every Sunday too? The Bible commands the Supper every Sunday? Can one take it only 2 Sundays of the month? or does it have to be every Sunday? If I work a Sunday but the other does not, I can not attend a supper? Can the church make the supper Sunday night, after ending the day? or rather, can the church make the supper 1am on Monday? There is nowhere in the Bible where we today are commanded to take the Lord’s Supper on a specific day. With a day beginning and ending at sunrise, there is little difficulty for anyone to assemble and partake of the Lord’s Supper together. Yes, the “sunrise” is different for different countries. I think that is the blessed providence of the observance of weeks (quarter moons) among the nations. Half-a-day before and after sunrise in Jerusalem is considered the same day. This makes sense. As for those countries in the Pacific, these have further considerations. The disciples among the nations converted by the Apostle Paul, Apollos, and others consisted of Jews and God-fearing Gentiles. Yet, Acts 20:7 says that they were met on the first day of the week, so there was difficulty for Jews or Gentiles. Acts 20:7 was on “Sunday”, the first day of the week. They did wait. They did not partake of it on the Sabbath. Acts 20:7 is clear of when the disciples assembled. Biblical examples define the commands. Here we see the command to assemble being kept by assembling as the whole congregation on the 1st day of the week. We observe the Lord’s Supper in the Assembly. The 1st day of the week is not a command, but the defining of the command to assemble. The general statement of Acts 20:7 is clear that they partook of the Lord’s Supper in this Assembly. This is also noted in 1 Cor. 11:17-34 that they were to eat the Lord’s Supper when they assembled in the Assembly. This was in one place and the whole congregation (1 Cor. 11:20ff, 14:23). I think a good understanding will find that some Christians will not be able to be there when sick or other uncontrollable circumstances . For instance, when Paul was trapped in a storm at sea for 14 days, Luke, Aristarchus, and Paul may have partaken of the Lord’s Supper, but there is no indication. Let us as the scriptures say judge for ourselves. Or you could say, “There is nowhere in the Bible where we today are commanded to…” oppose abortion, polygamy, Popes, Archbishops, or incense-prayer. Yet, the scriptures are clear about communing in the Lord’s Supper in the Assembly, which is on the first day of the week. 1. God switched the way he gives commands. In the Hebrew Bible he gave clear and concise commands, prefacing the command with: This is a command from the Lord your God. God switched to a new way of giving commands: hinting. 2. God wants us to worship the way the early Christians worshipped, down to the day and frequency. And if we don’t figure it out we are out of luck. 3. God wants us to sift through the Scriptures to come up with commands that are not clearly given. 4. Whatever one of the apostles said to one of the churches is for all churches everywhere forever. 6. Keeping the five acts of worship is more important than the fruit of the Holy Spirit: love, joy, peace, patience, kindness, gentleness, self-control. 7. Whenever they broke bread daily from house to house it was not the Lord’s Supper and whenever they broke bread on the first day of the week (once) it was the Lord’s Supper. Too many assumptions, none of which lead to God. Second Timothy was written at the end of Paul’s life in about 65-66 AD when he had already written all of His epistles. You are proposing that somehow Paul forgot about referring to Luke 10:7 as “scripture” along with Deuteronomy 25:4 in 1 Timothy 5:18. Paul also noted that Timothy knew from his infancy implying that his learning was not confined to his infancy. Note the word “from” in Greek, apo. Add to this that all of 2 Peter is about Peter’s last words to remind the Church of all of the scriptures including those from John (2 Pet. 1:16-19, cf. 1 John 1:1-4), Paul (2 Pet. 3:15-16), and himself (2 Pet. 1:16-21). If you believe that the early Catholic/Orthodox church put the New Testament together as they claim, then you might as well believe that one of them was the original church as they claim. You seem to have also overlooked that Paul wrote commands to the Christians in Corinth and to all saints (1 Cor. 1:1-2, 1 Cor. 14:37). By doing this, Paul also noted that teaching, praying, and making melody were to be done with understandable words, and that other he instructed against the other forms teaching, praying, and music without words (1 Cor. 14:9-15). All the Reformers noted this. Clearly if they like many other traditions can understand this, why can’t you? Please, let all these things be understood and set in your mind before you reply. Why are you also proposing that the Scriptures are not complete unto every good work regarding worship in the Assembly when we have every good work in scripture (2 Tim. 3:16-17) and we can observe all that Christ commanded (Matt. 28:20) having received knowledge for all life and godliness through the Apostles (2 Pet. 1:3-4, 16-21, 3:1-2, 15-16).? 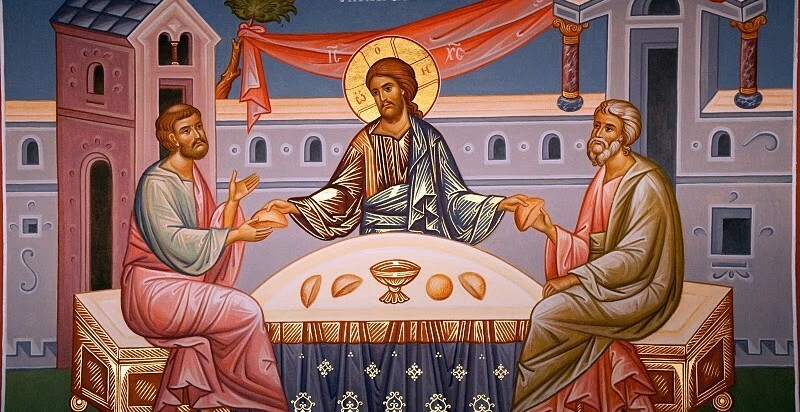 The breaking of bread is the Lord’s Supper (1 Cor. 10:16, cf. Acts 2:42, 20:7) different from a casual breaking of bread (Acts 2:46, 20:11). The breaking of bread is for the Assembly (1 Cor. 11:17ff), and the Assembly is on the Lord’s Day. You pretend as though observing the Lord’s Supper is observed according to scriptures about the Lord’s Day rather than the Lord’s Day is the day of the Assembly (Rev. 1:10, 17, 20) when the Lord’s Supper was partaken. What does Psalm 68 have to do any more with New Testament worship than Psalm 150’s reference to the physical OT sanctuary has to do with the spiritual Temple of the New Testament? You are proposing that figurative types of physical worship be included in the spiritual worship of Christ’s Temple? I have always found that the spiritual worship of Christ’s Temple is far greater the physical worship of the Old Testament. John in the book of Revelation never refers to Sunday or the first day of the week. The “Lord’s Day” in the book of Revelation is John’s reference (as most of the book’s imagery and language is) to the Hebrew prophets’ imagery and language, which meant a day of God’s judgment: “The Day of the Lord…” Lam. 1:12; 2:1, 21-22; Ezek. 7:19; 13:5; Zeph. 2:2-3, Joel 2:1-11. Mute point. There is a Lord’s Day that John refers to when Christ is in the midst of the congregations. You don’t even mention if you even recognize that. If John does not mention the first day of the week, then we need to consider other scriptures, but you have already ignored the passage, so that you don’t have to consider the first day of the week. You also ignore all the scriptures above. What basis do you have for your assertions when you cannot consider Christ and His Apostles and prophets? Even, the Apostles referred to their own writings, the OT, and most importantly Christ’s words. How then can you consider the claim of being a Christian and not consider the words of Jesus Christ? Your words are like whitewashed tomb. They may sound good, but they are empty and full of death. Will you also question that the first day of the week is the day of Jesus resurrection? Do you not overlook that Jesus broke the bread with the two disciples on the first day of the week according to Luke 24 or that He met with His disciples on this according to John 20? When you only consider the scriptures that you want, then how will you fully understand the Spirit of Christ or even know His Gospel? The problem here is that you have yet to recognize the scriptures as the revelation of Christ’s Spirit (Eph. 3:3-5, 2 Pet. 1:20-21). How do you expect to get anywhere without Christ unless you seek you disciples and, or your own destruction? How can you tell that the breaking of bread is the Lord’s Supper in one passage and a casual meal in another passage? Just because you wish it were so? Or because it wasn’t on the right day you think it should have been on to be the Lord’s Supper? This is circular logic: If it is on the first day of the week it is the Lord’s Supper, any other time it is a common meal. How do we know? Because the Lord’s Supper has to be taken only on Sunday. How do we know that? Because they broke bread on a Sunday in Acts 20:7. How do we know that the other examples aren’t the Lord’s Supper? Because they weren’t on the first day of the week…and round and round and round. My reasoning is not by a general reference of breaking bread on the first day of the week, but by the Lord’s Supper being an essential purpose to the Assembly of a congregation gathered together as a whole in one place. “When does the Assembly occur?” is there question. John called this day the Lord’s Day. When is this Lord’s Day? By the way, the word “Lord’s” only occurs in Revelation 1 for the Lord’s Day and the other is in 1 Corinthians 11 for the Lord’s Supper. Observing the Lord’s Supper is not set by its day but by the Assembly, but you again look over scripture like 1 Corinthians 11:17-34. Was it not their purpose to gather for the Lord’s Supper? By your thinking, how would any two Christians get together to do anything without changing their purposes of gathering to eating the Lord’s Supper, because as your premises lead unto the conclusion that they always met to partake of the Lord’s Supper and never without? How then could they casually ever gather to go fishing, talk, or go to the market together without partaking of the Lord’s Supper, and then changing their purposes of doing anything together except to eat the Lord’s Supper before all other things? Correct me if this is the not the conclusion of your premises that they gathered whenever they wanted and always partook of the Lord’s Supper. Yet, the disciples gathered in “the Assembly” on “the Lord’s Day” for “the Lord’s Supper”, “the breaking of bread”. And, you would have people to believe that this all occurred any day of the week rather than as “the disciples”, all Christians, met to break this bread of “the Lord’s Supper” on “the first day of the week”. Are we to presume that “the disciples” no longer means all Christians, but now only means these few believers? Why does Acts 20:7 define the first day of the week as the time when the disciples broke bread? Is “the first day of the week” not followed by the participle for gathering? Do not participles define another subject or action? Should we presume that Acts 20:7 is only talking about a few Christians on the corner of the Anatolia waiting 6 days to meet by coincidence on the day of Jesus’ resurrection by a whim with an Apostle and accompanying ministers whimsical consent and therefore Luke was so compelled by the Spirit to mention this just because it happened? Why don’t you reveal to everyone your position on this when the disciples gathered to break bread? To answer your question, you can tell the difference between “the breaking of bread”, which is the Lord’s Supper in 1 Corinthians 10:16, from breaking bread mostly by the use of the article “the” and, or the context. The same is true for recognizing “the Assembly” by its article from other meetings and gatherings of the Church. In the cases of Acts 2 and 20, Acts 2 is clear in reference to daily breaking of bread and the breaking of bread by the article. Acts 20:7 uses a participle in defining “the first day of the week”. The first day of the week also has an article. We know that the Christians were commanded to assemble for the breaking of bread in 1 Corinthians 11, so we know when they assembled “to break bread” in Acts 20:7. While “to break bread” is an infinitive, then it is anarthous. Or would you propose that Acts 20:7 was another breaking of bread when both you and I must understand what 1 Corinthians 11 means by “as often as you eat this bread and drink this cup” (11:26), which is “when you come together as a church” (1 Cor. 11:18) “in one place” (1 Cor. 11:20)? Scott, your mind is distracted from the real purpose of Christianity. This legalistic approach to Christianity sadly ignores our higher purpose. You are allowing the trees to get in the way of viewing the forest. Anyone can follow the commands to a tee w/o any faith whatsoever. It doesn’t take faith to get the technicalities of the “how, when and where” correct? Your mind is on the superficialities that do nothing but address your form, yet ignore the content of the believer. This principle seems to have evaded you. The Orthodox Church has never used instruments in its worship (exception: Some wealthy Greek-American parishes have introduced the organ. But they use it so sparingly–basically to set the key for the Trisagion Hymn–that I think, why bother? Other American Orthodox see this as an effort to fit into the Americanist system.) Even though we do not use them, I have never once heard it talked against, or mentioned at all in my 8 years in Orthodoxy. It is just not an issue. I think it has more to do with the nature of our “singing.” An Orthodox liturgy is, and has always been, a continuous thing, the only break being when the priest steps to the ambon and faces the assembly for the first time and gives his homily. The rest of the service is chanting and responses, back and forth between choir, priest and laity. There is no part of it even remotely similar to a hymn sung in an evangelical church. Quite simply, there really isn’t a place for instrumental music. It would just get in the way. An well-known convert to Orthodoxy said his first visit seemed like he was at the circus. There’s just too much other stuff going on. If they would just say that we don’t use instruments because of tradition then there would be so many fewer problems. That and stop condemning those who do. Interesting discussion. From my reading of the New Testament, there is no specific command to have the Lord’s Supper on any specific day. They had agape meals along with the “Lord’s supper” or eucharist to complete the meal. They also washed each other’s feet. Now over the centuries, the foot washing has been removed along with the agape meal. It has all been shrunk down to a snippet of unleavened bread and a thimble full of Welch’s grapejuice. The current practice of the Churches of Christ is alien to the New Testament documents. They ate real bread (unleavened in Jewish-Christian communities and regular yeast bread in the Roman world). The kind of bread makes no difference. They drank real wine, but now it is grapejuice. Thanks, but I will take a chunk of real bread or even a tortilla along with a nice glass of wine for my communion. In New Guinea, the Christians there eat yams in place of bread and raspberry wine in place of Welch’s. That is what their culture uses. There is a lot of stuff the COC conveniently overlooks, as they appeal to tradition (this is the way we’ve always done it!) or to the Prohibition Movement (we can’t serve real wine!). One of my favorite times of worship was with a Mennonite Church near our house. We had a simple Agape meal, and ended it with the memorial meal of bread and grapejuice (I would have preferred burgundy wine). Then the men met in one room and the women in the other. Acapella hymns were sung, as we took turns washing the feet of the person next to us. It was very moving. I think this was more like the early church than anything I have ever experienced. It is dumb exegesis to get “weekly Lord’s Supper” as a command or mandatory practice, and skip the agape meal and the footwashing. The agape meal certainly has several NT examples, and the footwashing is a verbal command of Jesus, and a necessary inference from Paul and some other NT writers. Basically, the COC is claiming the same magisterium to interpret the Bible as the Roman Catholic Church. “What we (the Churches of Christ) do is divinely inspired from Scripture, because we are the Lord’s Church. Only we, the Churches of Christ, have the true interpretation of the Bible, because we are the Lord’s Church. You do what we say and do, or go to Hell, because we are the Lord’s Church. You can now buy pre-packaged plastic thimble fulls of grape juice for commmunion (17 cents each); just peel off the tin foil on top, drink the cup and throw away the plastic cup. There has to be a metaphor in there somewhere. Still working on a metaphor. There is some meaning to this. How about “Instant New Testament Church”? It consists of the 5 step “plan of salvation” and 5 “acts of worship”. This is the recipe for an Instant NT Church. Under no circumstances, should anyone in this church talk about race relations, war, poverty, social justice, equal pay for women, American torture of prisoners, or anything un-American. This would ruin the recipe, turn people off, and drive the faithful from God’s True Church. It would cause the faithful to stumble! It is ontologically impossible for a follower to fall from grace by supporting racial equality, opposing war, advocating social justice, and promoting healthcare, jobs, and education. All of these have a basis in real Christian virtues. The bulk of Christian conservatives, both GOP and Tea Party oppose these things and even quote Scripture against these very important things. It is no wonder this triumphalistic and imperial church is dying out, and the sooner the better. Abortion is considered healthcare these days, plus gay marriage is considered social justice. Be careful when you choose you words.